10:00 – 11:30am | Adults | Come and learn more about this popular lifestyle change. 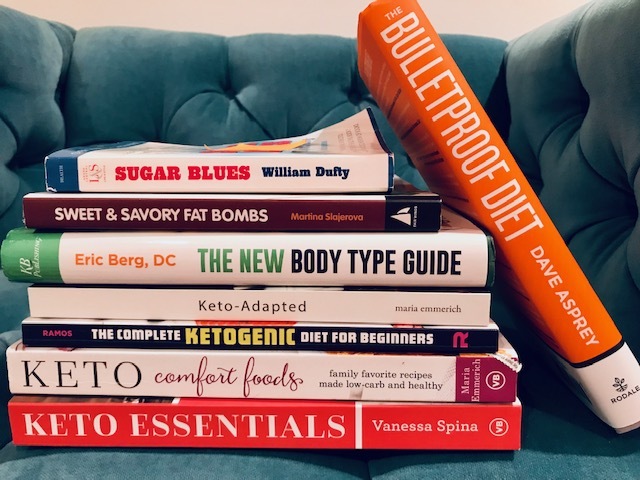 What exactly is a Keto diet? How will I benefit? What can I cook for my family? has been a health mentor and personal trainer for over twenty years. Celebrate Stephanie and Tina! Circus Arts! 3:00pm | Family | Come and See Tina’s New Tank! Decorate Cupcakes! Wish Stephanie a Great New Adventure! Circus Arts presentation will begin at 4:30 in the Garden Room. 11am-12 Noon | For Adults learning English | Led by Barbara Bethea. This is an opportunity to practice and improve everyday communication skills in a friendly group. Topics include conversations when shopping, visiting the doctor, on the job, meeting with your child’s teacher, and more. 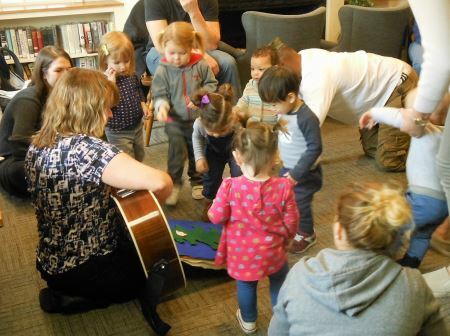 11 am – 12 pm | Family | Flor Bromley presents stories, music, movement, puppetry, and drama in a new bilingual (English/Spanish) program for young children. From the beginning of recorded time, jewelry has both articulated identity as well as heralded status. In recognition of the universal passion for and power of jewelry, the KMA opens the 2018 fall season with Outrageous Ornament: Extreme Jewelry in the 21st Century curated by Jane Adlin, who in her role of curator of modern and contemporary design at The Metropolitan Museum of Art, organized the Jewels by JAR and Cartier 1900-1939 exhibitions. In Outrageous Ornament, the KMA presents provocative work by internationally renowned artists which expand the boundaries and our understanding of personal adornment. This exhibition is made possible in part through the generous support of Vickie Morris, Tony & Judy Evnin, Rochelle & Mark Rosenberg, and Deborah Mullin & John Chatzky. Sponsorship/credits: Fashion Forward Family Day is made possible through the generous support of Linda Levine and her family. 4:00 pm | Ages 8-12 only, please | Win food, prizes, and bragging rights as you create snap-tastic electrical marvels. Learn some science and have a lot of fun! 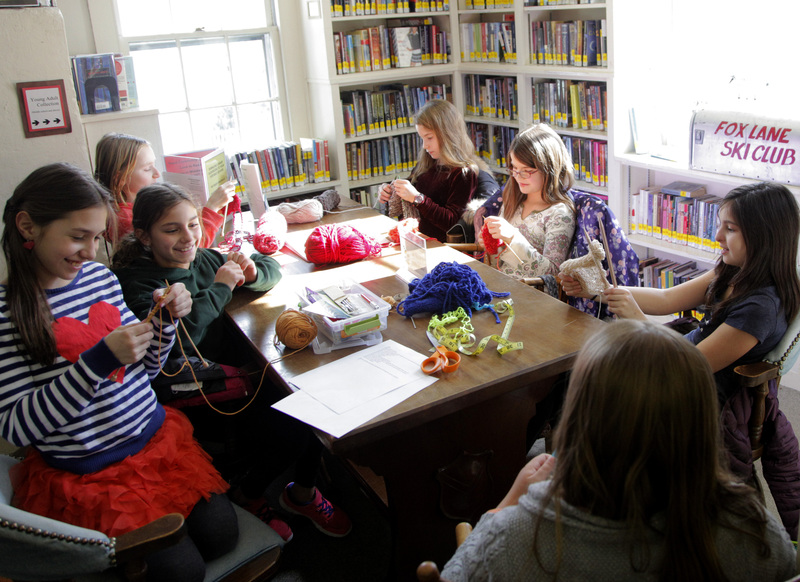 4:00- 5:00pm | Ages 9-12 | Bring an article of clothing and reinvent it! Reboot an old favorite! Share your fashion hacks! We’ll supply the patches, paint, scissors, glue, and string… the rest is up to you! 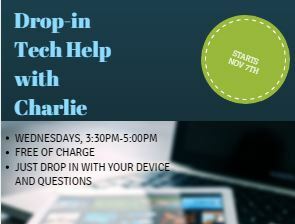 3:30-5:00pm | Free weekly Technology help will be available. Library Reading Room. Katonah Village Library: The Library will be closed for the Thanksgiving holiday on Wednesday, November 21 at 2pm through Thursday, November 22. We reopen on Friday, November 23. Bedford Hills Free Library: The Library will be closed for the Thanksgiving holiday on Wednesday, November 21 at 2pm through Thursday, November 22. We reopen on Friday, November 23. Bedford Free Library: The Library will be closed for the Thanksgiving holiday on Wednesday, November 21 at 1pm through Thursday, November 22. We reopen on Friday, November 23. 10:am-3:00pm | Friday, November 23,Wednesday December 26, Thursday, December 27, Friday, December 28 | Drop into the Learning Center on school vacation days to enjoy unique artist-led projects. Inspired by the extreme jewelry on view in Outrageous Ornament: Extreme Jewelry in the 21st Century, each workshop explores design, decoration and wearable art. 11:00am-12noon | Children & Adults | Bring the family on Saturdays to build a LEGO structure, play a board game, play with a puzzle, or browse the books in the library. 10:00am – 2:00pm | Families with or without dogs | For a minimum donation of $15, professional photographer Marisa Scheinfeld will take a digital photo of you, your dog, or your dog and the whole family on a holiday themed set. Come as you are, or provide your own costumes or special attire. The photo will be emailed directly to you for use with one of the many on-line holiday card websites, where you can create your own card, or print the photo for family keepsakes and gifts. In addition, a number of local vendors and services will be displaying their wares and products for all your canine gift giving needs. Our Vendor Village will include: Wipe Your Paws, PetValu, Canine Kindergarten, Pet Wants Dog Foods, Rick Sanders K-9 Training and Pawfection Pet Grooming. Proceeds will be used by BDOG to help enhance Bedford’s Dog Park, The Canine Commons. We hope to see you there! 9:30am-2:30pm | Family |Shop and Eat Local. Visit our famers market and see goods from over 20 unique vendors.